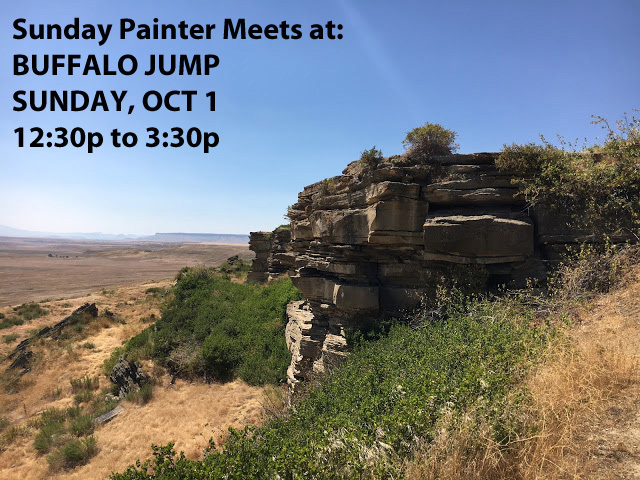 Get ready to draw and paint beautiful First Peoples Buffalo Jump State Park in Ulm, Montana! 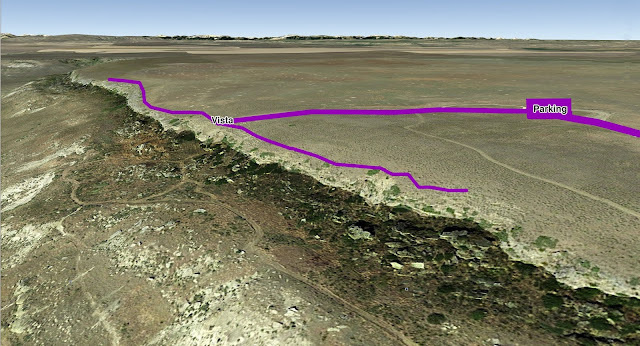 AT THE BASE OF BUFFALO JUMP (AS VISIBLE ON AERIAL MAPS). There is no charge for attending this Sunday Painter outing. Donations are appreciated and gratefully accepted to help us continue to put on these events. Please bring your own supplies to Sunday Painter paint-outs. Supplies are not provided to attendees, sorry.Not sure what you need? Check out our suggested supplies list. Click Here to RSVP on Meetup! Note: If you haven't been to Buffalo Jump State Park just yet, below are a couple of maps that depict parking and the location where the best views are. Pets must be leashed and under control. Hunting and discharge of weapons (including paint ball guns) prohibited. For Spring & Summer 2018, Sunday Painter meets EVERY Sunday at 12:15pm at the CM Russell Museum NORTH parking lot. Paint out destinations will be determined each week by artists in attendance. 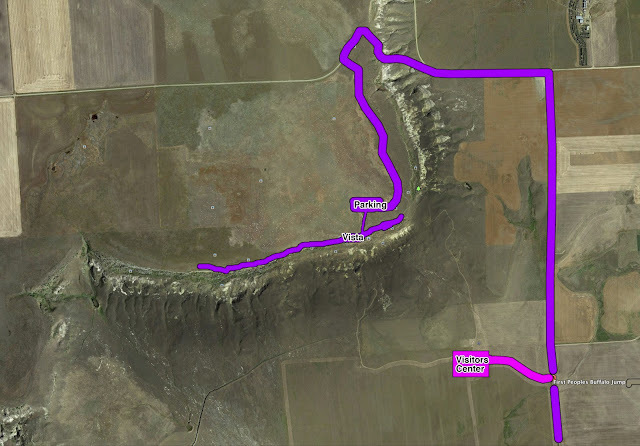 The caravan will depart at 12:30pm sharp. Please check our Facebook Page or SundayPainter.org to see the location chosen if you miss the group's departure. Enjoy our free gatherings? If you love art, support what you love. We'll see you on Sundays!